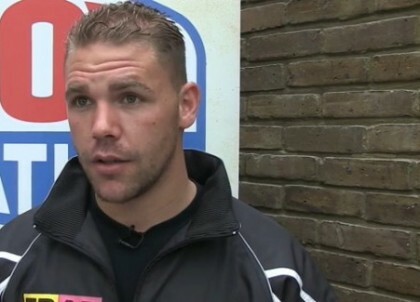 By Scott Gilfoid: #2 WBO, #4 WBC, #8 IBF, #12 WBA middleweight contender Billy Joe Saunders (20-0, 11 KOs) says he’s going to retire from boxing if he loses to #15 WBO Chris Eubank Jr (17-0, 12 KOs) in their grudge match next month on November 29th at the ExCel Arena, Dockland, in London, United Kingdom. Saunders, 25, seems to take it as insult if he gets beaten by Eubank Jr for some reason. It’s hard to understand why though because Saunders has yet to cut his teeth on the true top tier of the middleweight division so it shouldn’t be a surprise if he gets beaten by one of the fringe level contenders like Eubank Jr.
Saunders is not a big puncher by any stretch of the imagination so I’m not too sure how he plans on going out there and destroying Eubank Jr like he’s talking about wanting to do. Saunders is more of a pure boxer than a puncher, and he’s probably never going to be a puncher during his career. I mean, if there’s going to be anyone getting knocked out in this fight it’s going to be Saunders rather than Eubank Jr.
It’ll be interesting to see if Saunders actually goes through with it and retires from boxing if he gets beaten by Eubank Jr. I don’t see why he would, because it’s not as if Saunders has the kind of talent that will keep him from getting beaten by the likes of Peter Quillin, Gennady Golovkin, Saul “Canelo” Alvarez, Miguel Cotto, Hassan N’Dam, Jermain Taylor, Sam Soliman, Daniel Jacobs, David Lemieux, Dmitry Chudinov, Marco Antonio Rubio, Daniel Geale and Felix Sturm.